These last few years, roguelikes have become an increasingly popular genre, especially within indie gaming. I've experienced their magic time and time again, so I'd like to share with you how they work and why they're so fun. The roguelike is a sub-genre of role-playing video games, characterized by level randomization and permanent death. There is an official convention that defines what is considered a true roguelike. Games which share some elements of roguelikes but don't meet all criteria are called rogue-lites. These rogue-lites are much more popular and accessible than true roguelikes, and the games which I will mention in this article are technically rogue-lites. Level randomization (or procedural generation) and permanent death are two defining characteristics of the genre. I'll start by discussing permanent death. When there are consequences, choices hold more meaning. When you know that failure means permadeath (and having to restart), gameplay becomes intense and victory is that much more satisfying. Games like Fire Emblem and XCOM are known for having permadeath, but most people just restart their last mission in order to avoid losing characters. In roguelikes, there is no save reloading. Dead is dead. Most roguelikes are played in quick sessions: you play until you win or die trying. I like this structure since I can often fit a quick play session in a busy day. But wouldn't it be boring to restart the same game over and over again? Procedural generation ensures that each playthrough feels different. Procedural generation means that levels are randomized each time you play. But they are built according to rules (or procedures) to ensure that they contain all necessary elements. 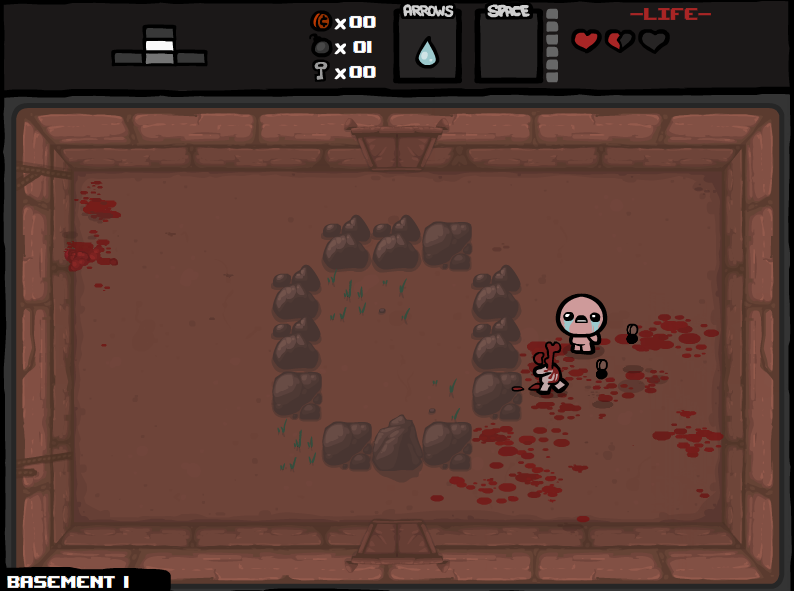 For example, a normal floor in The Binding of Isaac will always be built differently, but it will always contain a shop, an item room, two secret rooms and a boss room. Each time you enter a new floor, the game's code produces the floor according to the rules established by the game's author, ensuring that the game is balanced, consistent and playable. The fact that the gameplay field is changed each time you play ensures that each session feels new and exciting, even after hours of experience. and no saving during sessions. But dying and restarting isn't nearly as frustrating since you won't have to replay the same levels: they are randomized each time. Also, roguelikes tend to have some kind of global progress that carries over, so even if death is permanent, you will have gained something from each run. 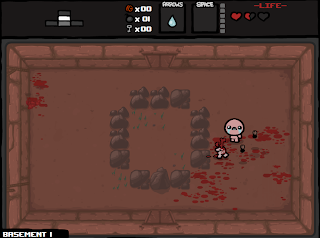 The Binding of Isaac is the first roguelike I've played. Isaac is essentially a quirky twin-stick shooter. 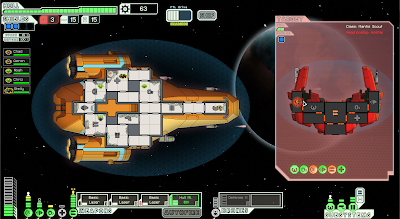 It's a cheap and accessible game, but it is also highly challenging. 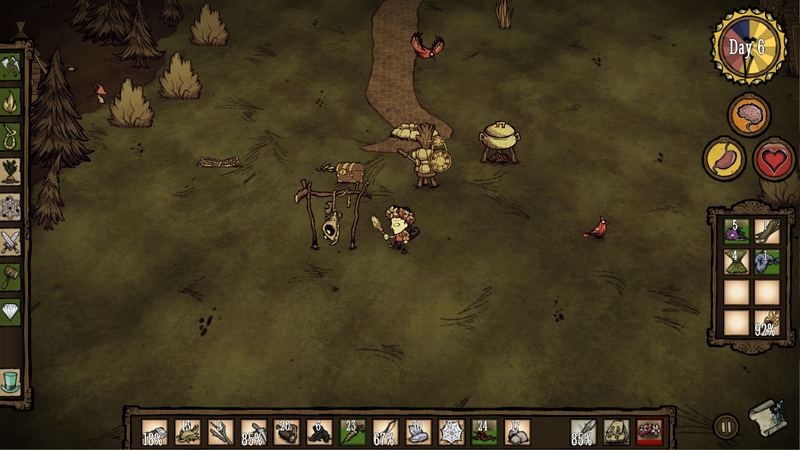 It's made by the designer of Super Meat Boy, after all. But once you get into the groove, the game is amazing. Each run lasts from half an hour to an hour and a half. There is a colossal amount of content in this seemingly simple game: the variety of enemies, items and rooms keeps the game interesting. I've played for approximately forty hours and haven't yet reached the final ending. A remake is currently in development. 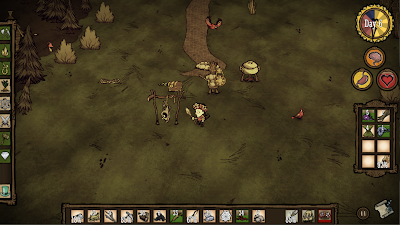 Don't Starve started out as more of a roguelike, but as development went on, the game was made easier and less roguelike-ish. The map is procedurally-generated and death is permanent, but you can save at anytime (since games can last upwards of five hours) and it's easy to escape death. It's still a really fun game though! The scavenging and survival reminded me of Minecraft. And you can make dry fish! FTL is a sci-fi exploration and ship combat game with an awesome success story. Although a bit too hard for my liking, I've played quite a bit and enjoyed every playthrough. It's one of the rare roguelikes with a heavy emphesis on storytelling. Explore the cosmos and see what you can find! 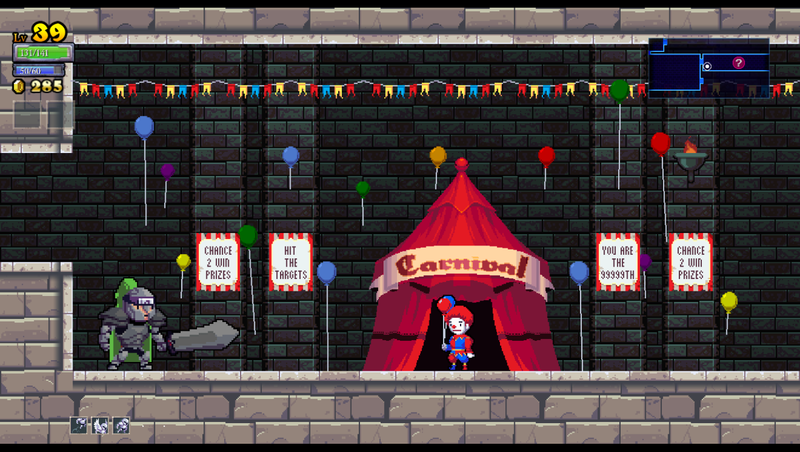 I've just picked up Rogue Legacy this week, and let me tel you: I am hooked. I'm having so much fun exploring the ever-changing castle with my (now extremely long) fictional lineage. Each time you die, you choose your heir amongst your children, and each character has a few traits. The traits sometimes affect gameplay (such as size, weaknesses, or abilities) or aesthetics (such as colorblindness, vertigo, or insanity). 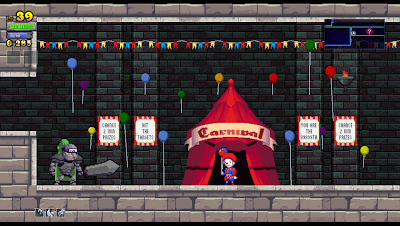 Rogue Legacy is my favourite rogue-lite as of now. So much fun. I haven't played Spelunky, but I've heard great things about it. It's next on my list.